The Brady Bunch is headed back to television! According to Deadline, a revamped version of the classic sitcom is in the works at CBS studios. Vince Vaughn will executive produce the series along with Lloyd Schwartz, the son of Brady Bunch creator Sherwood Schwartz, and Mike Mariano, writer of Raising Hope. Mariano will also serve as a writer. Deadline reports the show will focus on the blended family of Bobby Brady and his second wife. The couple will each have children from a previous marriage and their ex-spouses will be part of the show. They will also have a child together. 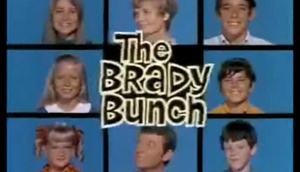 The original Brady Bunch ran from 1968 to 1974. Florence Henderson and Robert Reed played Mr. and Mrs. Brady while Barry Williams, Maureen McCormick, Christopher Knight, Eve Plumb, Mike Lookinland and Susan Olsen played the Brady children.